This winter weather unfortunately has turned my skin into oily combi with dry patches aka the worst skin type ever. So I felt like I should get a serum – “it’s winter”, “it’s pay day”, “it’s almost Christmas” – I did not struggle to justify this to myself in the slightest. Being a teeeny bit of a beauty obsessive, I have the in-built need and constant desire to OWN ALL THE PRODUCTZ. I’ve always felt like I ‘should’ use serum but my combination oily skin can’t handle the heavier formulations out there. For this reason, one of my favourite serums was the Ole Henriksen Truth Serum as it dries really quickly and smelt delicious. However it’s £50 and I just couldn’t stomach splashing out on it. 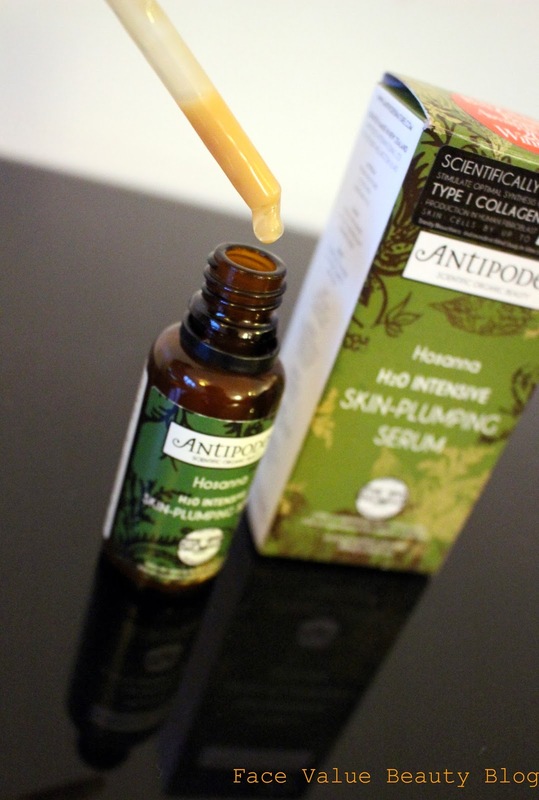 This is the Antipodes Hosanna H20 Intensive Skin-Plumping Serum. Hailing from New Zealand, Antipodes was not actually a brand I’d heard of before – I’ve always had a preference for European skincare. But as soon as I tested a couple of drops into my hand, that little ‘ooooh’ moment occured. You know what I mean? That moment when a product isn’t quite what you expected and then YOU KNOW YOU GOTSA HAVE IT. The texture of this serum is amazing – it’s insanely light and was the quickest absorbing serum I tried that day. Some serums are too heavy for my oily skin, but Hosanna dries quickly with a relatively matte feel. It comes in a cute little dropper bottle which I prefer to a pump – it means I can control the amount used instead of pumping way out more than I need. Personally I use about 4 drops of Hosanna across my face and neck day and night, but I’ve got a super-massive face. The ingredients all sound amazing – despite the fact I’ve not heard of any of them – I’m talking Waiwera Mineral Water, Mamaku Black Fern, Vinanza Grape… say what? Exotic names aside, they’re basically a combination of anti-oxidant, cell renewing ingredients to protect your skin from damage and improve skin appearance over time. Oh yeah – and it’s scientifically proven to stimulate collagen production by up to 72%. BOOM. 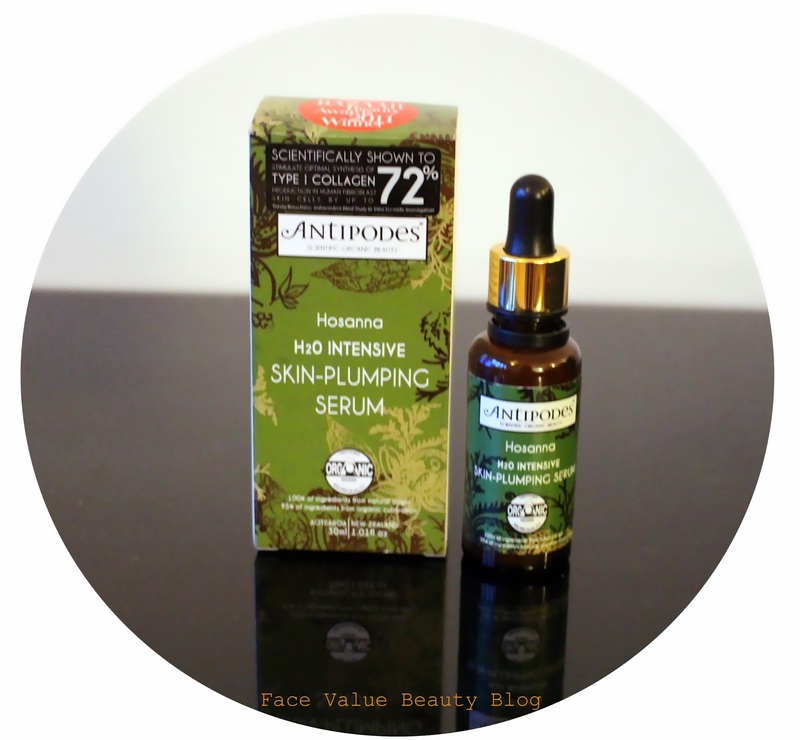 And the best thing is this Antipodes Hosanna serum is certified organic! Following all this anti-preservatives, anti-chemicals chat, I’ve recently jumped aboard the Organic Express and my skin actually feels better for it! In a nutshell – this is a great serum for those looking for something which absorbs quickly. It doesn’t have that heavy oil feel that a lot of serums have but it still does the job of plumping and protecting your skin from the winter cold. I really love it! Especially given that I’ve not even use Antipodes before! Do you use a serum? What do you look for in a serum? Have you tried any other New Zealand brands? Are you on the Organic Express too? What on earth is a Mamaku Black Fern? !